In early 2018, a Facebook post about WakandaCon came down the timeline. President and CEO Kyla Williams, has participated in comic con culture and was really interested in t he concept, especially after all the well deserved support of the Black Panther Movie. The initial posting had few details, but did have a place to sign up to receive more information. We have now come to know that WakandaCon is a afro-futuristic experience. An imagined place free and unshackled from the ravages of racism; of exploitation; of discrimination; of emotional, physical, and sexual violence. The founders, a group of siblings consisting of David Barthwell, Ali Barthwell, and Matt Barthwell hoped to create a space for people of all types to come together, educate each other, and celebrate all of our passions. While the event is targeted towards establishing a positive and supportive space for black people across the diaspora, WakandaCon is inclusive and all have been encouraged and welcome to come celebrate together. Something special to note is WakandaCon is an independent project that was not created or backed by any large corporations, and all of the programming is curated internally. The Shuri Project had just submitted its grant proposal to The Don Benedict Fund at the Community Renewal Society and thought if funded, this would be a great opportunity to showcase the program. On March 21st, Henry Williams Love received notification of funding and on April 11th, an email officially announcing the dates, location, and programming submission details. The Shuri Project was submitted and accepted on May 7th. These details are important to the storyline of this program because two of our major programmatic goals is to improve communication and provide exposure. So, a workshop presentation at WakandaCon would meet our goals, serve as a public demonstration of the power of this program, and provide the participants with an unforgettable experience. Additionally how apropos the program was named for Princess Shuri from The Black Panther. An appearance at WakandaCon was added to The Shuri Project participant recruitment efforts. We stress the significance of adding “conference presenter” to the list of skills participants would receive. During The Shuri Project program orientation, none of the participants had ever heard of a Con before and didn’t really know what to expect but fed off the excitement that it was something big! In our program structure, the end of Week 5 is website demo day, where youth participants demonstrate the skills learned in the program by publicly presenting their websites. However, WakandaCon was scheduled for the end of Week 4, so the participants have been working really hard to get ready for their public presentation debut. One of the things they have worked on was creating and memorizing The Shuri Project Creed. The inaugural class of The Shuri Project will make its appearance at WakandaCon on Saturday, 8/4/18, at 11am in Salon C, Room 3. WakandaCon is being hosted at the Hilton-Chicago 720 S. Michigan Avenue Chicago, IL 60605. The students have prepared an engaging workshop presentation that includes website demos, skill explanations, and vision boards. We are highly encouraging attendance at WakandaCon as there are several workshops, panels, vendors and other cool things to see and do. If attending, please stop by The Shuri Project presentation and show our girls some love and support. Henry Lee Williams was born on February 9, 1936 to John and Hasseltine Williams in Maywood, IL. He was educated in Chicago until leaving for the armed forces. He served as an Airman in the Air Forces where he was honorably discharged. Henry worked at International Harvester and later retired from Whiting Corporation. Henry fell in love with and married Ola Breckenridge, which he has preceded in Death. He was an honorable family man, great father, lover of jazz music, and a really good friend. Henry lost both of his parents at a very early age and it was kindness of family, neighbors, and friends that supported he and his siblings until they were able to transition into adulthood. He carried that kindness in his heart and was a living example of its transformative powers. Henry hated to see people sad or in pain and went above and beyond to ensure his family was well-cared for, friends were in good spirits, and neighbors were doing well. He loved attending events at the Sun River Terrace Community Center and was known to be a prolific jokester and storyteller. Henry loved hanging out at the barber shop whether he was getting a hair cut or not to talk politics, sports, music, and to set a young person straight if need be. His love was abundantly present and felt throughout his own community and all over the world. 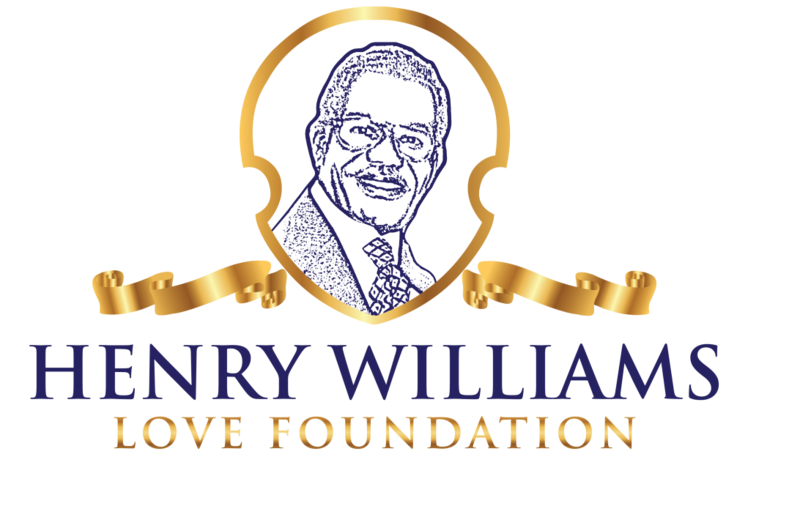 As such, his children in an effort to continue his legacy of loving and giving, created the Henry Williams Love Foundation.